Last week I talked to you about having an evening routine, so today I want to talk to you about having a morning routine. Now, some people have an evening routine, and then some have a morning routine. Some people, who are smarty pants people, have both. 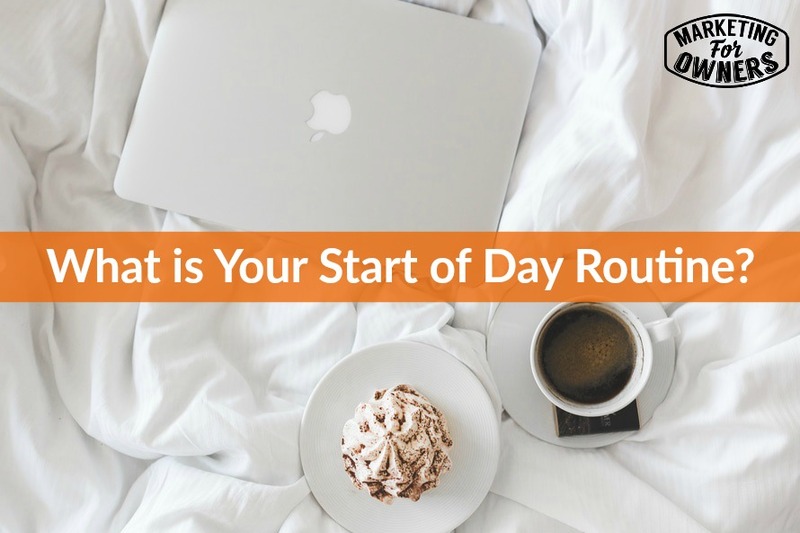 I am going to suggest to you that you have a morning routine and here’s why — most successful and wealthy people, generally have a morning routine. They are intentional as John C. Maxwell would say. They are intentional about what they do and they are doing it for a purpose. Why don’t you do the same? By trying to adopt some of these healthy habits and routines, it will help us all to become a little more successful in life and in business. For instance, if you want to know what mine are (now these change often), but currently this is my routine. Now, I work from home every day but Thursday. On this day I pop into the office for a meeting, but for most part, I work from home. 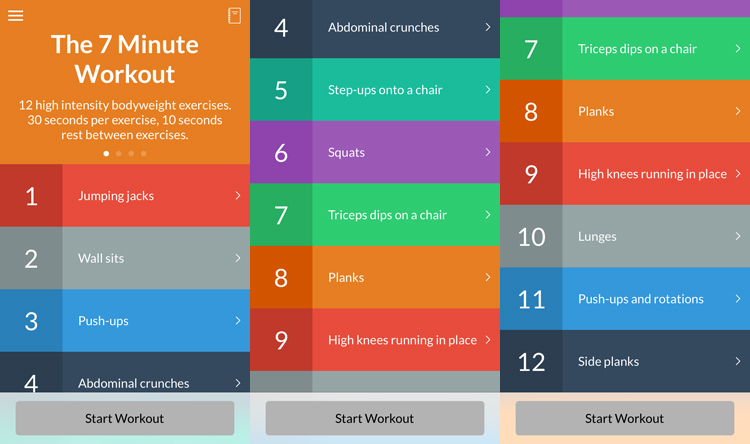 Every morning I get up at 6:30 in the morning and put my workout clothes on and then I begin my Insanity routine. You might think I am too old to do insanity, and I will be honest, it kills me, but it keeps my heart pumping and keeps me in shape. Before I work out, I will have a large glass of water, then do the routine. After that, I take a breather while I put on the kettle for tea. During this time, I avoid all electronics. Then at around 7am, I generally sit down and visualize or picture what my day looks like. Now, this may sound very odd, but if I picture myself sitting at my desk, writing a blog post or doing some course work, then I feel guilty if I don’t actually do it. It works for me. After I do that, I spend some time taking quiet time. Now, I don’t meditate, although some people would call what I do meditating, but I sit back, close my eyes, and breathe in and out. During that time, I count my breaths in and my breaths out and just relax. Next, I hop in the shower and take a shower and get dressed for the day. It only takes me about 10 minutes to take a shower. Now, at 8:00, I sit down with a cup of tea and get ready to get my day started. For those of you who are interested, I drink decaf PG Tips Tea (that is British). Now, each of my work days there are different things to do. I have a calendar that I use that has my whole afternoon mapped out until about 4:30, including blocks of time for breaks and everything else so that I have a routine. I will generally work for 2 hours and then I do not have breakfast until about 10, because breakfast is that time when I am tempted to sit down, open up the laptop, read a few emails, but I just get straight in there and work. Now, some of you are thinking, “Oh I can’t go without breakfast.”. For me, it doesn’t bother me. I am not one of those people who will die with hunger if I don’t eat. Every third day I have training sessions because you have to watch webinars, you have to listen to podcasts, read books, and do some courses, because this keeps you learning. Don’t just think you will fit those in, calendar those things in. Now, that is generally my morning. Then on Thursday I head into the office, so from 8-9 at home I work and then I head into the office for the day. I think I have mentioned this before, but I do not do emails — that includes reading them until midday. I don’t have to worry about phone calls in the business that I am in, so generally my phone is muted for most of the day during that time (so sorry if you have texted me and I haven’t answered). I know what I am going to be doing when I get up in the morning. I don’t have to think about it. There are other things that you can do as well. When I talked about the end of day routine, I talked about writing down in a gratitude journal things like who and what you have been grateful for during that day. You could actually do this in the morning as well. Chalene Johnson, after her 5am fitness class sits in her car in the garage will pick two or three things from her to do list that she is going to do that day. There is a lot of flexibility in my schedule like the blocks of time that I set out during my lunch breaks. I make them long enough that I can go have lunch with friends, or if I have nothing going on, then I can just not do anything. Fortunately for me, my business runs whether I am there or not, but there is still work that I have to do so I get it done. And I am much more active in the morning than I am in the evening. After lunch my energy wanes and I lose interest –so I try to get everything done I can early in the morning. There are a couple of good books that will help you in this process — the Miracle Morning by Hal Elrod and The Perfect Day Formula by Craig Ballantyne. If you follow John Lee Dumas, you can google “John Lee Dumas EO Fire morning routine”, you can find his routine as well. Please try it and let me know how you get on. Go on and give it a go and you will be back for tomorrow! Be sure to tune into tomorrow as I interview Joel Boggess. It will be a great interview. Then I will be back Thursday for more nuggets of wisdom.